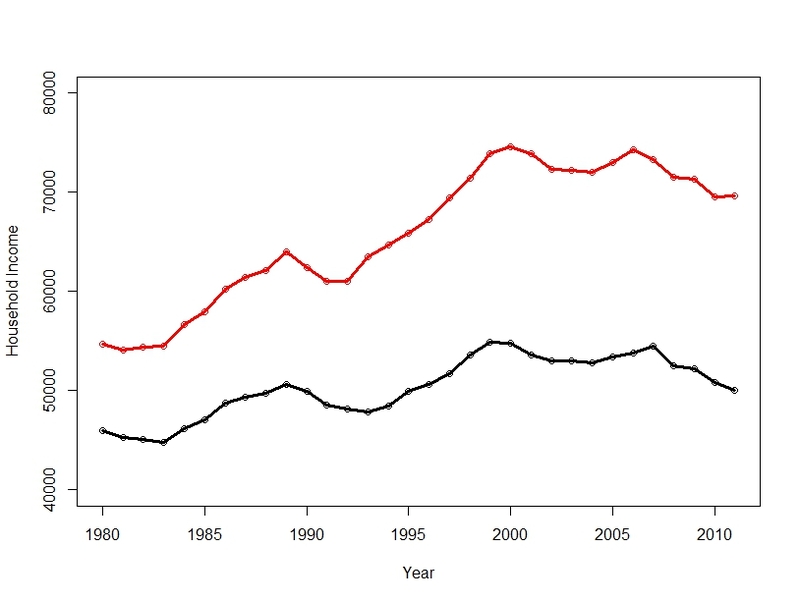 I have a standard code for ggplot2 which I use to make line graphs, scatter plots, and histograms. 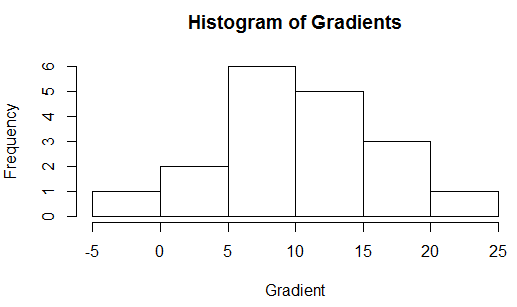 Figure 1: Gradient appears to follow a normal distribution more than intercept . When do we use a parametric model, and when do we use a non-parametric one? 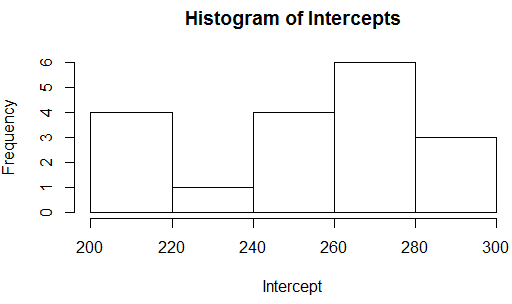 In the above example, “Intercept” is one random variable, and “Gradient” is another. I will show you why “Intercept” is better modeled by a non-parametric model, and “Gradient” is better modeled by a parametric one. 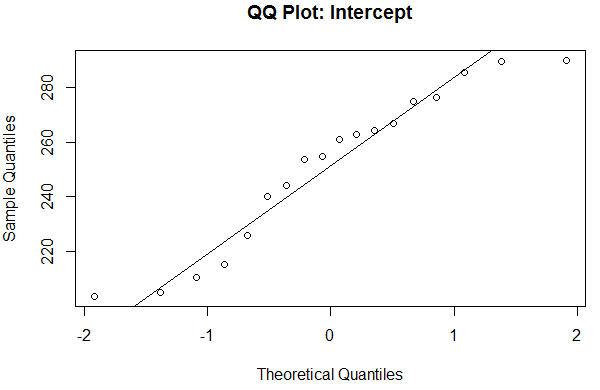 In Figure 1, histograms and QQ plots of “Intercept” and “Gradient” show that the latter appears to follow a normal distribution whereas the former does not. As such, a parametric (normal) distribution would not be appropriate for modelling “Intercept”. This leads us to believe that a non-parametric distribution is a better method for estimating “Intercept”. 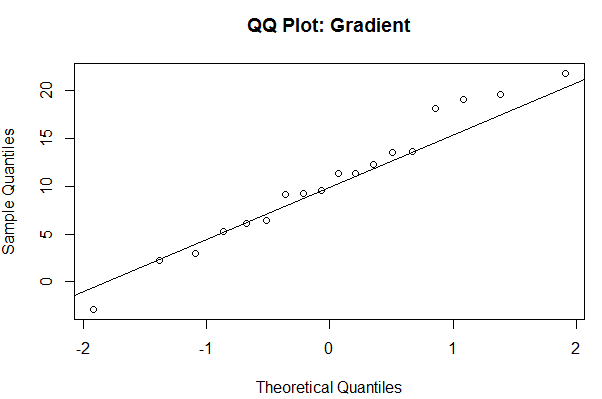 However, a parametric (normal) distribution might be appropriate for modelling “Gradient”, which appears to follow a normal distribution, according to both its histogram and QQ plot.